Magical pools and abundant vegetation at the foot of cliffs rising in the heart of the lowest oasis in the world. Enot Tsukim Nature Reserve in the northern Dead Sea is one of the most singular and interesting nature reserves in Israel, both because of the wealth of flora and fauna species it contains, and because of the remains of human activity that have been found here. 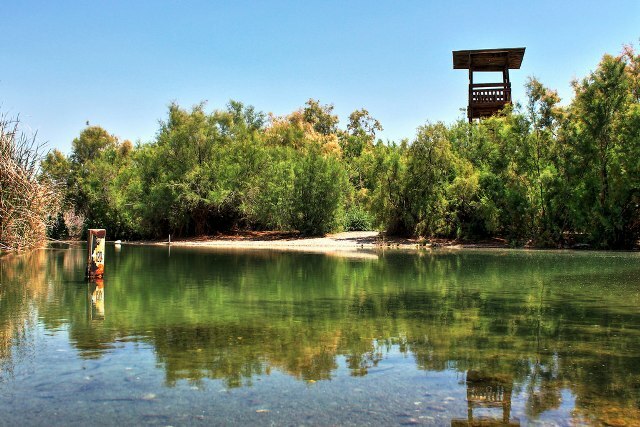 Wading and bathing pools – the pools are near the entrance to the nature reserve, some 3 km to the south of the Kalya turn-off on Road 90 (the Dead Sea coast road). Hiking trail – the marked trail passes through the diverse habitats and main sites of the nature reserve, with explanatory signs along the way. "The hidden reserve" – the southern part of the nature reserve. This is the area where the Enot Tsukim springs rise, and a path has been marked out among the pools of clear water and profuse vegetation. Observation point looking out at the retreat of the Dead Sea – the receding shoreline of the Dead Sea can be seen from a distance, giving an impression of the extreme changes that have taken place in recent decades. Lake lookout – an observation tower in the southern part of the nature reserve, from which it is possible to see the "micro canyons" – the undermining watercourses (entry to this area is for guided tours only). Lookout overlooking the receding Dead Sea – an observation point to the east of the wading pools. The hidden reserve is not fully accessible, but possible for people with considerable mobility impairments visiting with a companion. Prior arrangements must be made by calling 02-994-2355.